RESILIENCE is an internet-protocol for an incentive-based peer-to-peer dividend network. This dividend network could potentially scale to the entire human population, and would support each human with a steady stream of income, in proportion to each humans financial history. The framework is built to support a world of billions of people who live and evolve as global and mobile citizens. The system runs without a single central point of failure, and uses an incentive-structure that replaces coercive force. RESILIENCE also has potential as a framework for generating tax funds in a global peer-to-peer paradigm. These funds could be collected by applications that run on top of the RESILIENCE protocol, and used to fund social services for those in financial proximity to the tax-payer. The core components of RESILIENCE are the dividend pathways that grow the network, and the incentive layer that replaces coercive force. Every time you make a transaction with someone else inside the network, you create a dividend pathway. This pathway then connects you to that node, and also to everyone who´s connected to that node, and so on. These pathways create the basic architecture of the network. 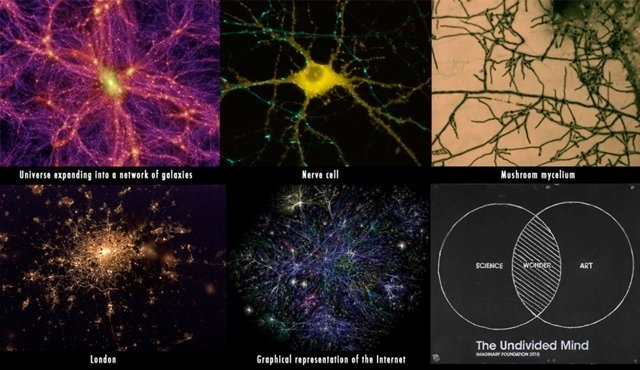 Through them, you connect to your own unique network, that potentially scales and interconnects with a much waster network. These pathways are similar to memetic pathways that convey the spread of Ideas. Every new relationship you create connects you not only to that person, but to the friends of that person. In F2F (friend-2-friend) theory as well as memetics, the concept 'your friends are my friends' applies. Through your new friend, you receive not only his or her Ideas, but also Ideas that he or she has received through his or her friends. Every new relationship you create opens op connections to a network that extends beyond your friend. This pattern applies to many organic systems. These pathways are organic in the sense that they grow and wither naturally. Pathways you create are not static, they emerge and they disappear. If you create a pathway to a new node, at say $100, then you´ll receive $100 via that pathway and then it fades. 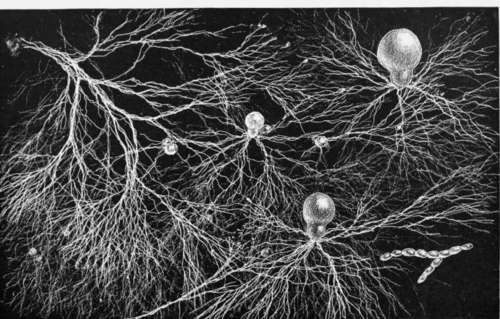 Think about organic systems, think about your own nervous system, think about mycelia and think about any self-organizing living system. These pathways behave like that system, you might grow thousands of pathways in one place, like if you live in Sweden, and then if you move somewhere else, you´ll create new pathways while your old ones gradually fade. Incentives is the hard problem. If force isn´t an option, how do you get people and corporations to contribute to tax-funded services. The problem is not as hard as it might sound. To get some perspective, think about how incentive centered design has transformed many aspects in our lives in the recent years. Think about crowdfunding. Crowdfunding has provided an alternative to taxation-based funding, and with a radically different incentive-design. Incentives without punishment, positive reinforcement. This is amazing, and it shows just how powerful incentive-structures can be. A well designed incentive-structure can unleash untapped potential of the crowd. The incentive layer that RESILIENCE uses is simple, yet powerful: if a person or corporation consumes from someone outside the network, they get disconnected. Only temporarily. If they buy for $100 from someone outside the network, they get disconnected for the duration it takes for $100 in dividends to flow through them. The incentive-structure enables a peer-to-peer governance method were each node sets their own taxRate. Using the same logic as the incentive layer, a node who consumes from a node that uses a certain taxRate is then locked to that taxRate for the next x-$ she recieves. This creates the same sort of meta-ripple effect, where nodes who set high percentages will be attractive. RESILIENCE is a framework that should be imagined as part of the human ecology system. Its dividend protocol can be connected to any currency online, and is better understood as a general concept in finance. The early versions will connect to currencies through a bit of a hack, reading ledgers, calculating pathways and dividends, and then relay that data to the users who sign payments, manually or through a client that automates the process. Future versions will be more optimized, similar to how Ethereum attempts to optimize many computational processes that underlie basic finance. The symbiosis between the RESILIENCE protocol and currency-platforms will be better implemented. Companies, corporations, or any node that provides an output of commerce to the network, may choose to offer dividends to their consumers. These dividends are similar to interest rates that banks use to attract users, or any form of reward system. The dividends send a signal that 'if you choose us, we´ll reward you and provide you with dividends of our corporation'. The dividends are a way that corporations can sustain their consumers through offering dividends on their corporate profit, and become more attractive to those consumers. There are no really good metaphors for these dividends. A corporation would choose to offer them because they feel a social responsibility. There really aren´t any good metaphors in circulation, but the interesting pattern here is that corporations that do happen to have a social conscience will gain a selective advantage relative corporations that are more into a traditional capitalistic model. The RESILIENCE protocol could be understood as a full-scale alternative to capitalism. This might sound counter-intuitive at first, I´ll walk you through it. The RESILIENCE protocol has the potential to generate a dividend network through voluntary means, with zero coercion. This dividend network has lots of hidden potential and exhibits emergent properties, it is bigger than the sum of its parts. The flow of dividends that emerges is unique in that it very closely resembles the ecology-system that its a part of. The interactions between people and their technology and surrounding environment, that are played out in real time, are mirrored almost perfectly. These dividends do provide a basic stream of income, but they do not cover all the social services that might be preferable. They do on the other hand closely resemble real human interactions and relationships, and provide an accurate view of how humans interact. The dividend pathways are an almost perfect mirror of human financial relationships. The idea is that dividend pathways can be taxed. Any persons dividend pathways are an accurate representation of their social relationships, and any person might have dividend pathways that stretch all over the world. Each of these pathways tough exist in financial proximity to a network of its own. For example, if you live for just a short time in India, and create $2000 in dividend pathways, then these $2000 might be taxed as you receive your dividends through them. The benefits of using dividend pathways as a platform for secondary taxation is that they are the closest representation we have of what a global p2p-society might look like. They have also been created through voluntary means, incentive-based rather than coercive force, and they exist as a potential framework. The users might still feel incentivised to be part of the network even if their dividend-reward is decreased and their dividends routed to social applications. RESILIENCE is the ideal platform to use as a taxation platform. It has a dedicated user-base that have joined by personal incentives, it interfaces every financial platform online, and it is built on a database that stores an (ever evolving) map over the state of the world. Applications that run on top of RESILIENCE can tax this dividend flow to provide resources for social services. The services can be used by people who are in financial proximity to the user who is being taxed. RESILIENCE embeds contracts that regulate 'leakage' of dividends that can then support UBI as well as other social services. If you are Swedish and you live for a while in say India, the pathways you create there can be tapped into by those in financial proximity to those pathways, which in the traditional nation-state narrative would be Indians. Since you´ve been part of that financial economy for a while, you also contribute to the locals and those in financial proximity to the dividend pathways you´ve created there in India. Your pathways and roots in India then gradually fade when you move on and continue your lives unfolding. Basicincome.co is such an application, and taxes dividend pathways and 'leaks' resources to those nearby. The contracts that connect users to such applications are managed by a system of contracts, and the RESILIENCE platform is open to be innovated upon by contract creators. RESILIENCE should be understood as a core platform that distributes the capital market shares and provides a stream of income to all its users, and enables taxation in the p2p-paradigm through taxing these dividends. The networks that emerge are not bound in any direction, and people are allowed to live and evolve as global and mobile citizens and as the unpredictable, creative beings that we are. If the incentive structure manages to attracts people to join the network, then the RESILIENCE protocol will generate a constant current of resources, a voltage. Money will flow back and forth, and some will receive more than others. The RESILIENCE protocol manages to create an incentive-based decentralized flow of dividends. This stream of resources, this current, generated through peer-to-peer mechanisms, could then be used by other applications, as long as enough is left to incentivize users to use the network. The rules that have applied to nation-state economies no longer apply in a global and mobile world. This means that an alternative needs to be designed. Who should pay for whoms welfare services ? Where does a tribe begin and end ? Where do we go from here ? RESILIENCE provides an alternative. Coercive force does not work in a global and mobile paradigm, and so RESILIENCE uses an alternative incentive-structure, that brings users to join voluntarily. The dividend streams that then self-organize do provide some basic welfare, through being a form of decentralized capital market shares, and gives a stream of unconditional income to all its users, an insurance. The dividend streams could also potentially be tapped into by applications that run on top of the RESILIENCE protocol. Since the users already received a positive surplus through their dividends, they might be willing to share some of that surplus with other applications such as a guaranteed minimum dividend yield, health insurances, school costs, and other collective services. These applications would then run through contracts. Basicincome.co uses a contract that sets a guaranteed minimum dividend yield for the users of the network, it takes from the rich and gives to the poor in a sort of swarm p2p manner. The contract is managed by the crowd, and it is up to the crowd to decide if they want to run it. The contract might be made mandatory, if the users choose to make it so. Because the tax-funds are taken from a surplus, the users dividends, their share of whatever the network provides, these contracts are not coercive but rather they diminish the reward. It´s diminished positive feedback instead of negative feedback. These applications could potentially be incentive-based too, so that a user receives rewards for connecting a basicincome-contract. Think of mycelia and how nutrients can travel through unsuspected routes. If a cell lacks resources, nearby cells can reach out and form a support network. These mycelia grow organically, like humans do when they are not limited by their technological systems.